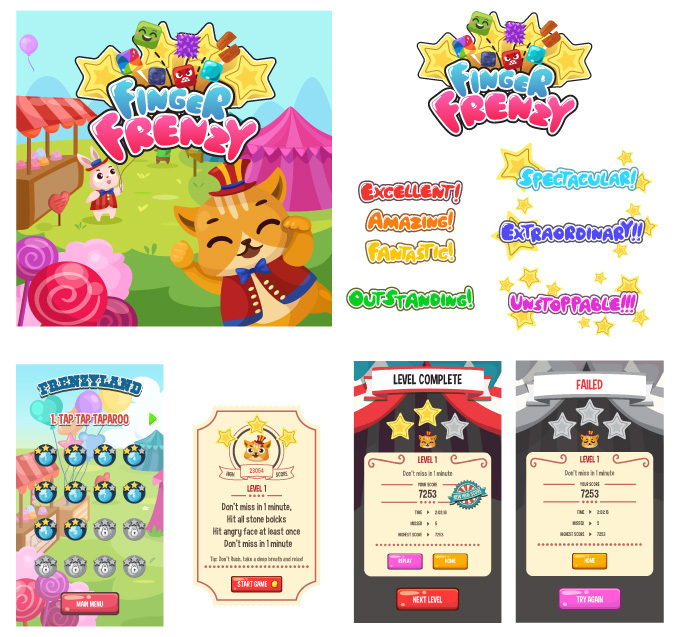 Finger Frenzy is a mobile game built for iPhone, iPad and Android phone & tablet. Project was done for Stuck Pixel Inc, I contributed from middle of the project. I designed main logo with hand drawn font to match the style of game art, same style of font was designed for expressions that appears during the game play. Original game art was done by the artist, I used her art as reference to create additional art pieces to be used for Single mode game play section- including quest poster, stage selections, gameover sign and etc.